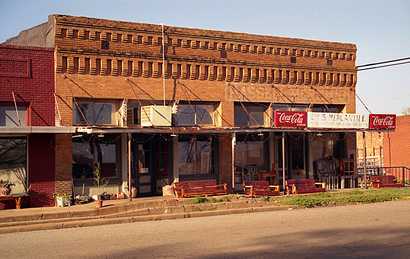 Founded around 1902 with the arrival of the Texas and New Orleans Railroad, the first citizens relocated from the village of Kickapoo, Texas, two miles southeast of present Frankston. The first post office was named Ayers (as was the town) but the name was changed when a Miss Frankie Miller donated land for a city park. 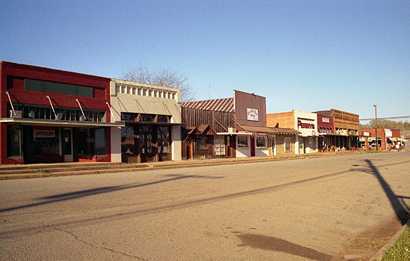 Lumber and cotton were the town's major economic engines. As the lumber played out, peach orchards and tomato fields took up the slack. 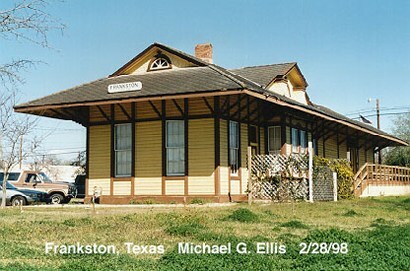 The railroad depot, just south of the town square was the nerve center of old Frankston. During its heyday, Franston had three hotels, several cafes, a basket factory (for the tomatoes), a Masonic hall, and even a theater. 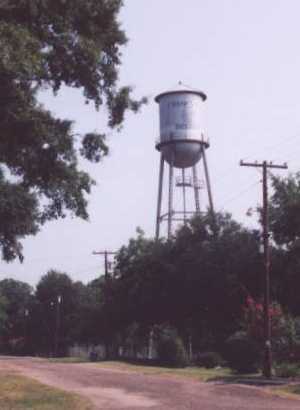 The town's population ranged between just over 800 to 1,500 from the mid 20s through the 80s. In the 1980s Frankston was still thriving with two car dealerships, stores, gas stations, a bank, savings and loan association, newspaper, and funeral home. Tourism has become increasingly important to Frankston in recent years and the former depot has become a library.